It took long enough. 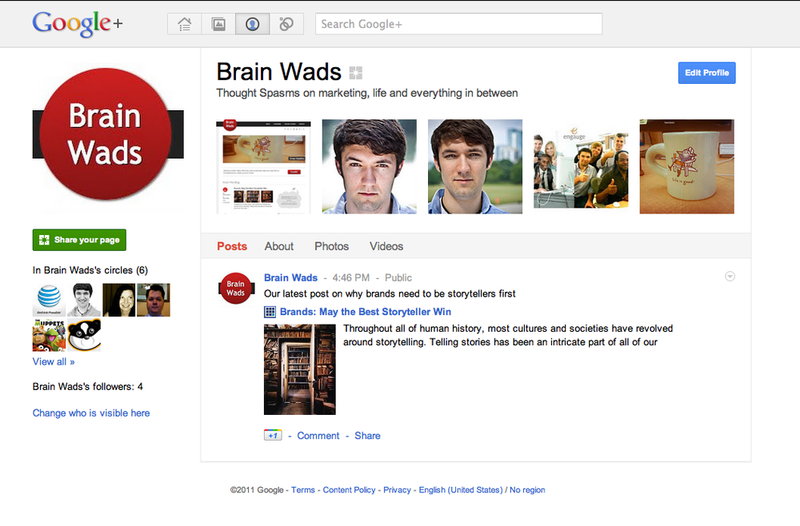 After a very drawn out process, Google rolled out Google Plus brand pages out to the masses. Many brands had already built their Google Plus pages out with many more I'm sure on the way. Almost everyone I knew on Google Plus with a small business had established their pages too, encouraging everyone in their circles to join their brand circles. Even I jumped in on the bandwagon. Why? Mainly because I could. I wanted to be able to get a better glimpse of what is happening on Google Plus brand pages from an administrator's point-of-view before having that conversation with clients. From playing around on it, I want to better understand more specifically how content strategy would differ on Google Plus than on Facebook. More specifically, I want to know exactly what brands have to gain from Google Plus that they can't get from Facebook. I know there are some insights I can gather from a hands-on experience that reading TechCrunch and TheNextWeb won't give me. The Muppets (who I've said before are masters of social media) have come out on Google Plus in full force. Tonight, they hosted a Google Plus hangout featuring Jason Segel, Kermit the Frog and Miss Piggy. The Hangouts are one way that jumps off the page that Google Plus offers that Facebook currently does not. How many of you have played around with brand pages? First impressions? Will it last or simply be another short-lived spike for Google?